This is a post about an old vulnerability that I finally found the time to blog about. It dates back to 2014, but from a technical point of view it is nevertheless interesting: An XML parser that tries to fix structural errors in a document caused a DoS problem. All previous posts of this series focused on XSS. This time, we present a vulnerability which is connected another Cloud Management Platform: OpenNebula. This Infrastructure-as-a-Service platform started as a research project in 2005. It is used by information technology companies like IBM, Dell and Akamai as well as academic institutions and the European Space Administrations (ESA). By relying on standard Linux tools as far as possible, OpenNebula reaches a high level of customizability and flexibility in hypervisors, storage systems, and network infrastructures. OpenNebula is distributed using the Apache-2 license. OpenNebula offers a broad variety of interfaces to control a cloud. 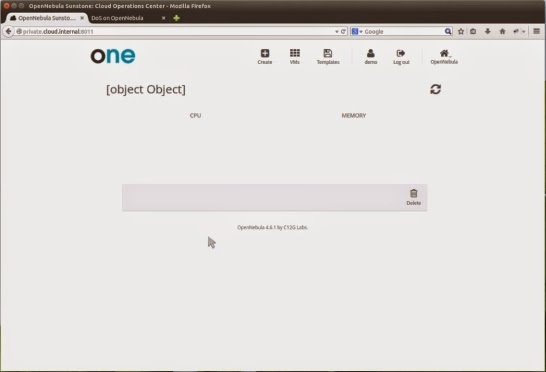 This post focuses on Sunstone, OpenNebula's web interface (see Figure 1). Before OpenNebula 4.6.2, Sunstone had no Cross-Site Request Forgery (CSRF) protection. This is a severe problem. Consider an attacker who lures a victim into clicking on a malicious link while being logged in at a private cloud. This enables the attacker to send arbitrary requests to the private cloud through the victims browser. However, we could find other bugs in OpenNebula that allowed us to perform much more sophisticated attacks. The generator closes the <x> tag, but not the <NAME> tag. At the end of the document, the generator closes all opened tags including <NAME>. OpenNebula saves the incorrectly generated XML document in a database. The next time the OpenNebula core retrieves information about that particular VM from the database the XML parser is mixed up and runs into an error because it only expects a string as name, not an XML tree. As a result, Sunstone cannot be used to control the VM anymore. The Denial-of-Service attack can only be reverted from the command line interface of OpenNebula. 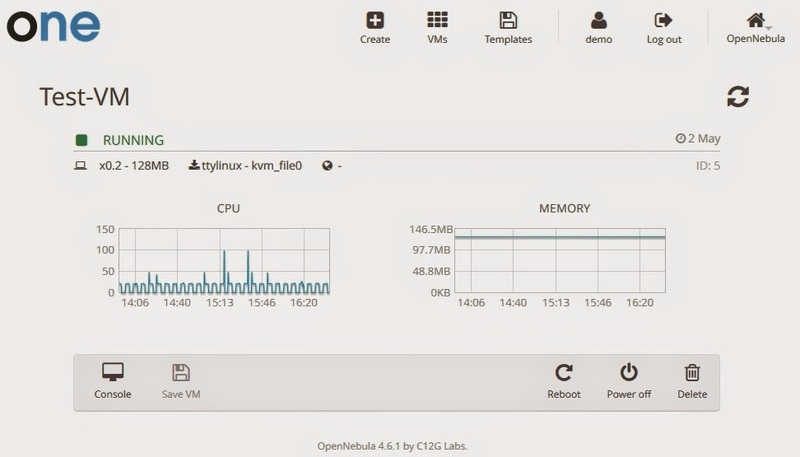 0 Response to "Save Your Cloud: DoS on VMs in OpenNebula 4.6.1"